Home > The Cape Coffee & Biscuit Shop > Anyone for Tea or Coffee? Anyone for Tea or Coffee? Anyone for a nice cuppa tea? 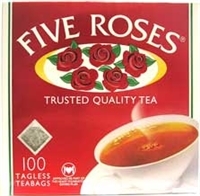 here at the South African Food Shop we only stock the best such as Five Roses pure Ceylon tea and Freshpak rooibos tea, Freshpak being the most popular rooibos herbal tea in South Africa must therefore be the best. Rooibos tea (Red tea or red bush tea) is a natural and indigenous South African herbal tea that is found and cultivated in the South Western Cape region of South Africa with Clanwilliam being the largest town in the area know as the Cedarberg. Many years back in the 1950's rooibos was considered a poor man's substitute for regular tea however once it was established that this was about the healthiest herbal tea around and just loaded with anti-oxidants it soon back the beverage of the wealthy and health conscious. 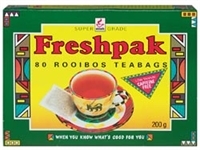 Rooibos also makes an excellent iced tea, just ad some lemon and a little sugar. The health qualities of Rooibos tea are amazing, besides relieving nausea, rooibos is also known for it's antihistamine qualities and can be used for treating eczema in children by adding the tea to bathwater, it's an all in one! 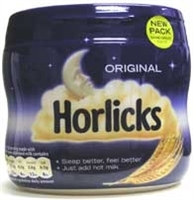 We also stock a variety of South African instant coffee, Instant coffee is far more popular in South Africa than in the USA and Nestle Ricoffy, Koffiehuis and Frisco are three of the top South African brands, and what could be better on a cold winters night than a hot mug of Horlicks or Nestle Milo! two delicious malt enriched beverages which are blended with milk for loads of nutritional goodness, perfect for healthy kids.